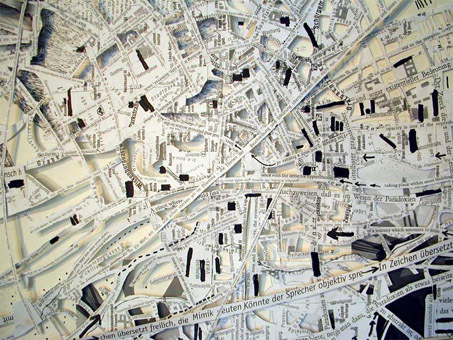 Led by the idea that to develop an appropriate cartography for complex spaces, I began to read the city as a three-dimensional text, a living structure. 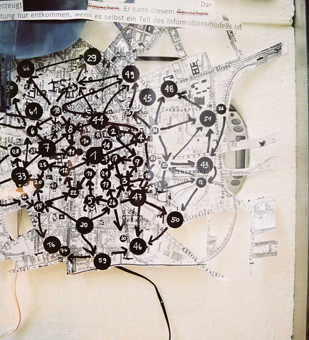 By field-recording acoustic landmarks in the public area, a subjective vector space is spanned over the city, creating individual sound-maps, through which a redefinition of urban orientation takes place. 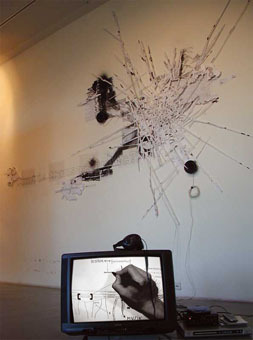 From this point a process of writing signs and drawing letters along the borderline between significant and significat started. 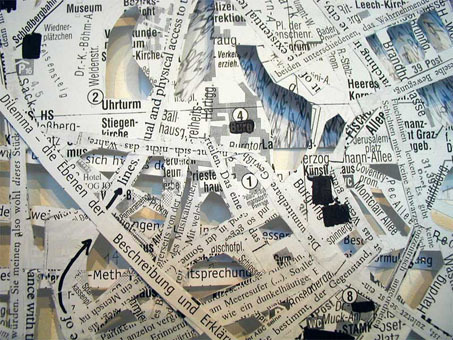 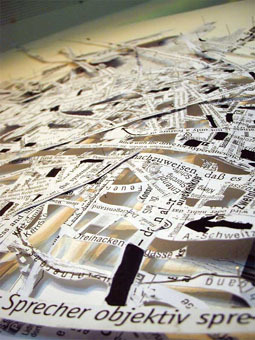 Using psycho-geographic research new texts were written into the structure of the city, replacing names of streets by texts about the city. 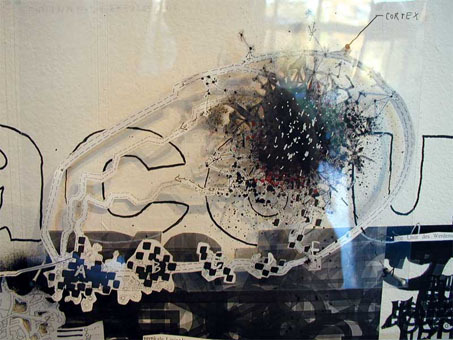 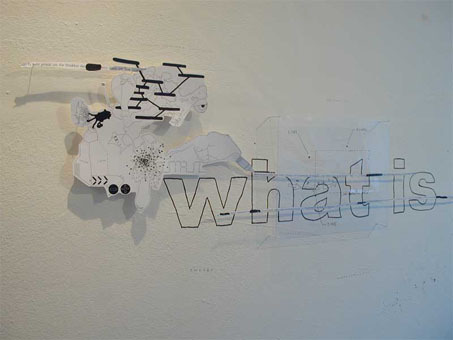 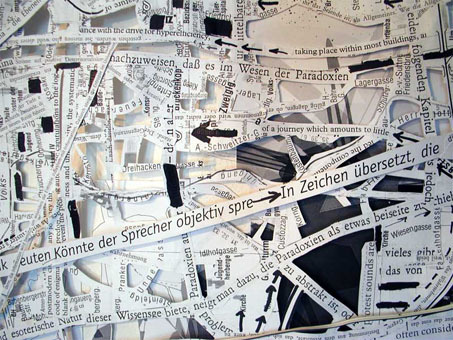 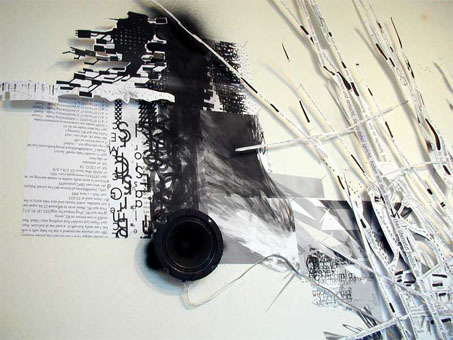 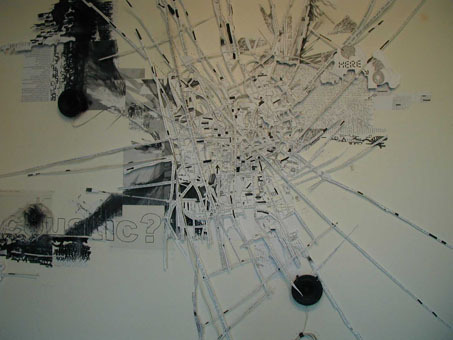 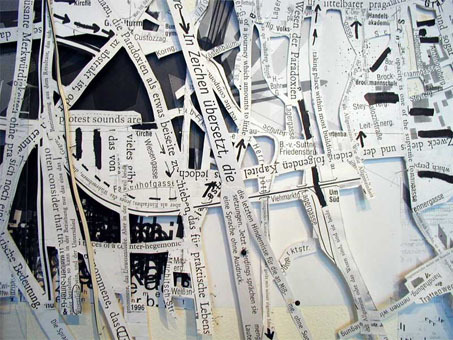 Assuming shape of an multidimensional book, a new relationship between sound, city, orientation and text is identified.